Thank you so much for considering orthodontic treatment for you or your family member. This is a big decision and can be life changing - so congratulations! Advances in technology have allowed us to provide easier, faster, and more comfortable treatment. My background in anatomy, craniofacial growth, and orthodontic education in a hospital setting has shaped my thinking about how I treat my patients. We are more holistic - more comprehensive. We start with good health - airway and breathing, jaw joints, then esthetics and function. We love treating both kids and adults. I run my practice from the heart - no short cuts, no outside influences, no nonsense. Just happy, healthy partners - with beautiful smiles! And we have fun doing it! You won't be disappointed with our amazing view as you lie back for your appointment. Our view is unparalleled! 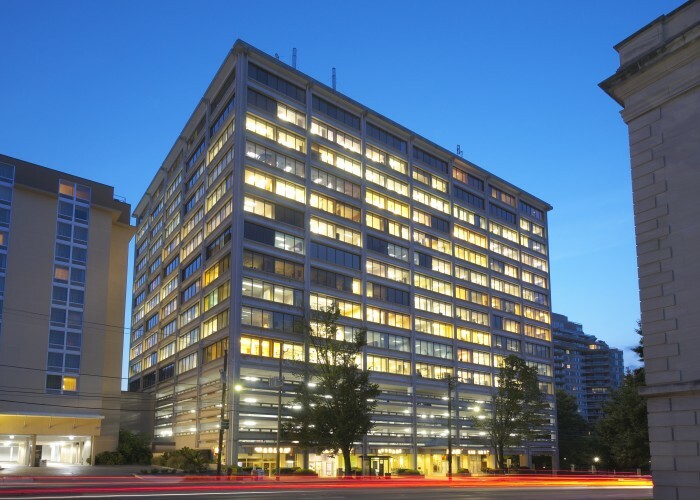 We are conveniently located on Wisconsin Avenue in the Chevy Chase building. There is parking in the building or you can park across the street in the parking lot at Saks Fifth Avenue. And we are 3 blocks from the Friendship Heights Metro Station. We are a paperless office and we try to bring the green into our environment too! Surrounded by plants and trees we really love bringing nature into the office!